A few years ago, the world of proxies was an awful lot simpler. There were basically two types – free and paid proxies and the choice was simple. Apart from he early years of the internet, free proxies have unfortunately become far too risky to use for anyone who wanted to do anything remotely serious. They became full of viruses, malware and often served as launching points for all sorts of criminal cyber attacks. True they weren’t all like that, but unfortunately it was difficult to sift out the safe proxies from the dangerous ones. The market for commercial proxies has meanwhile developed alongside the growth of the internet. The proxy server was initially mainly used in corporate or educational networks as an application gateway. This role was extended as more networks allowed access to the internet, which was initially quite rare. The proxy server offered a way to control, monitor and secure inbound and outbound traffic to the internet. Nowadays it’s fairly rare to find any company who don’t use a proxy to regulate internet access to their employees for example. Proxies outside the corporate world have taken a different route and become a pretty essential tool for all sorts of people and businesses. Primarily the role of the proxy has centered around privacy and hiding your true location. Basically the proxy sits in between you and the website or application you are visiting hiding both your identity and your location. The proxy sits between your computer or device and the website you visit, passing on your requests for you and then forwarding the replies back to you. This means that the website you visit never sees your computer’s IP address. Also your requests are hidden from your ISP who only see the proxy servers address, although you’ll need a layer of encryption to hide the location completely with a VPN. It seems an innocuous requirement and also something of an inconvenience but in reality the role of a proxy for millions is pretty much essential. The most basic role is that of simple privacy and retaining some sense of control when you search online. Although you may figure that you have nothing to hide, the amount of data being mined and stored about our every single web request is becoming incredible. It starts with your ISP (Internet Service Provider) where all your traffic is probably routed through, each request and transaction is normally logged here. So imagine this, a full and complete log of every single email, message, video and website you have visited logged and recorded for anyone to see. Even for completely normal and innocent people this is a pretty huge potential invasion of privacy. Would you happily supply a complete list of every single thing you do online to say your government or employer? Well that information is potentially all there and is accessible to those with the correct access to your ISP. For instance many Governments actively access this information when required. Indeed some actively monitor, log and act on it routinely. It’s scary stuff and if you sit at your computer thinking you can look at a website or watch that illegal copy of the Avengers without anyone knowing then you’re sorely mistaken. Which is why people buy datacenter proxies and to some extent VPN services. They hide your online activity from the ISP themselves, particularly with a VPN which also encrypts your connection. However they also ensure that your identity and location are not recorded on the website you visit too. Even on the basic level of security and privacy this is a very attractive requirement to many ordinary people. Exactly What are Datacenter Proxies ? In reality a datacenter proxy represent the vast majority of proxies that are available commercially at the moment. They specifically refer to the type of IP address which is assigned to the proxy server, in this case those registered to one of the large datacenters. For clarification, the vast majority of IP addresses are either registered to commercial, educational or residential organisations. The commercial include private companies and businesses, typically including all datacenters too. Residential addresses are only available from Internet service providers and are normally home users. Whereas educational addresses will be assigned to colleges, schools and Universities all over the world. 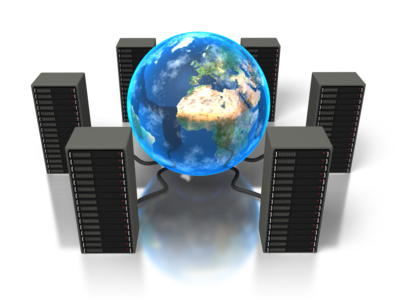 Most proxy servers sit in datacenters and hence are assigned commercial IP addresses. They are therefore normally referred to as datacentre proxies specifically not only because of their location but of the IP classification that is assigned to them. So confusingly if you assigned a residential IP address to a proxy server residing in a datacentre – it would be then referred to as a residential proxy! Speed – Datacenter proxies normally have fast connections with lots of bandwidth. Stability – Usually much more stable than residential proxies. So with all these advantages, it’s amazing that anyone looks beyond datacentre proxies. Yet they do and increasingly people are looking at different types of proxies such as residential or even mobile proxies. The reason is basically it’s very easy to detect that a proxy is being used if it’s based in a datacentre. Not only have these IP addresses probably been used as proxies for some time, there’s also a very simple way to identify them too. Whereas if you buy residential IPs then you’ll be virtually invisible. There are many databases freely available online that will tell you if a specific IP address is registered in a datacenter. If it is then the connection is highly likely to be a proxy server – the vast majority of ordinary users will have residential IP addresses assigned by their ISP. Now if you’re just looking for speed and privacy then this is fine. However many people use proxies for all sorts of purposes that involve impersonating a standard home user. Internet marketers will do this for research or using promotional or marketing tools for Instagram and other social sites. Others will want to post multiple adverts on sites like Craigslist or buy limited release items from places like Adidas. Have you ever tried to watch Netflix from work or any commercial premises, you’ll find it difficult as the media giant blocks commercial addresses in order to ensure only home users can access the site. In all these scenarios and many more, the websites will actually block and filter those who originate from a datacentre IP address. Indeed there are lots of websites which are increasingly blocking non-residential IP addresses making them essential for many online tasks. So despite being slower, more expensive and generally less reliable – a residential proxy is much more difficult to detect and looks exactly like a normal home user. It is why they are in demand and why the technically superior datacentre proxies are becoming increasingly sidelined. It should be stressed thought, that if you just want to hide your location and protect your privacy then a datacenter proxy (or VPN) will work just fine. Otherwise check out a specialised proxy provider which offer private proxies, dedicated proxies or even show you how to get residential proxies too. Many tasks need residential IP addresses otherwise you’ll get blocked. It’s still costly to obtain these but increasingly more companies are learning how to create residential proxies more easily. 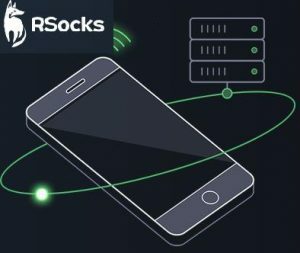 Fortunately this is also helping to reduce the cost and you can now get rotating residential proxies which share IP addresses out to lower the cost significantly.